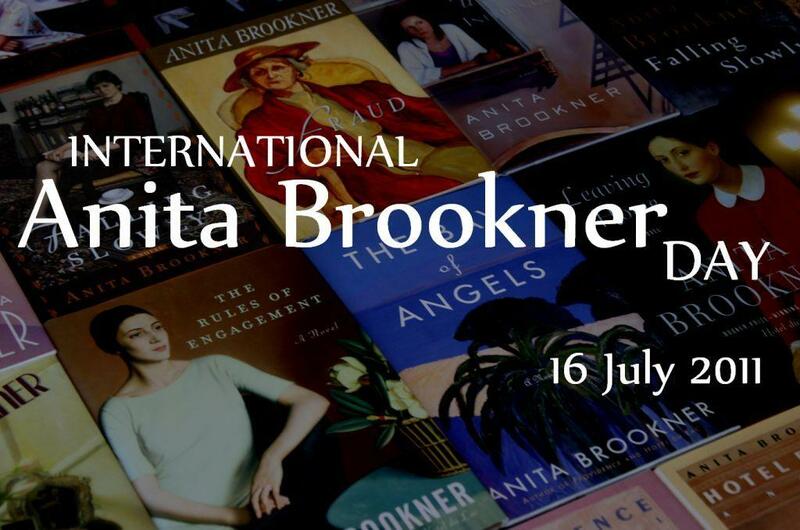 …for those of you planning on reading an Anita Brookner novel before International Anita Brookner Day on July 16th. A few weeks ago I published a review of Anita Brookner’s Incidents in the Rue Laugier by Erich Mayer, father of Brookner scholar Peta Mayer. Now I have the pleasure of posting a review of Brookner’s The Bay of Angels by Peta’s mother Wendy Mayer. As with her husband’s contribution, Wendy’s review puts my own pedestrian reviews to shame. The Bay of Angels is Anita Brookners’s twentieth novel; it was published in 2001, twenty years after her first novel. If it had not been written by Brookner, it would have likely been simply identified as a ‘coming of age’ novel, or an exploration of the ‘generation gap’ rather than the tender, thoughtful evocation of a warm and close relationship between a mother and daughter. As the narrator, it is the daughter’s voice that charts the experience of growth and change in their lives. Friendship is the ultimate aim of parenting too, for the mark of success here must ultimately be to produce independent adults capable of managing themselves in life. A mark of success in this would be the development of genuine friendship between parent and grown-up offspring. Brookner’s novel covers this terrain, contrasting the varied approaches to life of the different generations, but as the responsibility for family decisions inevitably shift from the mother, Anne, to the daughter, Zoe, the need to express these differences becomes apparent. The opening pages review the calm pleasure of their early lives together after the mother’s premature widowhood. Zoe enjoys school, her friends and the atmosphere of calm in the flat they live in when she returns home. She is aware that her mother may be lonely, but they both share the pleasure of reading. The tranquility of the flat is occasionally disturbed by visits from ‘the girls’, women married to distant cousins of Zoe’s father. Zoe does not refer to Anne as anything other than ‘my mother’ until page twenty, reflecting how Zoe views Anne – her identity is delineated by her role as a mother. The Bay of Angels explores the developments in the relationship between the women as they grow up and age. In doing so, Brookner draws out the different approaches to responsibility taken by individuals operating in diverse social environments. As an adult, Zoe’s horizons widen and change, but even while experiencing these differences, the bond between mother and daughter survives and remains strong. Characteristically, Brookner also skilfully explores the impact of ostensible minutiae on people’s lives in The Bay of Angels. Nobody but Brookner could so effectively utilise an obsession with plastic shopping bags to communicate a sense of these women’s identities, of rushed dishevelment and disempowerment. She builds very real characters as she establishes the inner differences between people, their insecurities and embarrassments that form a part of everyone’s lives. In The Bay of Angels, Brookner beautifully creates and explores the development of a genuine friendship between a parent and her adult offspring. Such a background provides Zoe with the tools to manage her own life satisfactorily. It is not a book about a prototypical ‘hocky mom’ and her progeny, but rather a description of the different pains and pleasures suffered and enjoyed during the lives both of her protagonists and her readers, and it thus brings to life Grayling’s ‘mark of success’ in parenting.